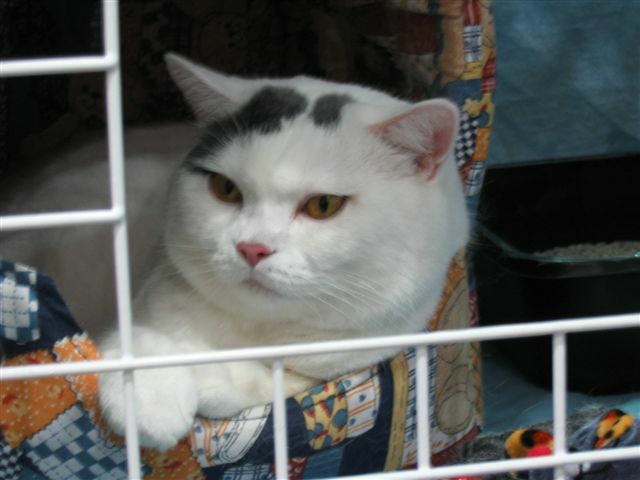 Type: Ex size & ex broad chest, ex short & strong legs with ex big paws. Correct body shape. Head: Ex massive, correctly broad, ok profile & ok muzze. Eyes: Ex shape & ex size & placed ! Correct colour. Ears: Ok small & ok far apart. Coat: Ex clean & ex well presented ! Ex dence coat, ok short. Ex white & nice patches. Tail: Ex shortness & ex shape with ex rounded tip. Overall impression: Ex temperament ! Judgement: CAP, PR, nominated for best in show.